ps. 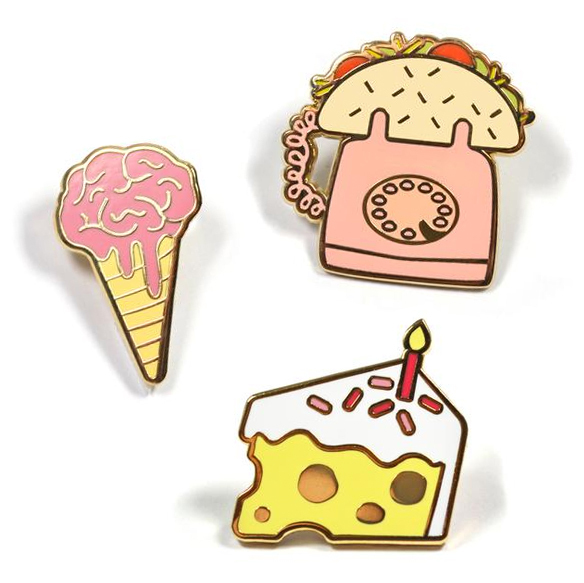 I think it would be irresponsible of me not to show you these pins from Lizzie’s shop… ‘brain freeze’, ‘cheese cake’, and ‘let’s taco bout it’! Bahahaha!